The bone was discovered in an area rich with stone tools as well as the fossilized bones and remains of hippos and freshwater snails. Taken together, these clues are evidence that early human migrations were likely more frequent than previously thought, and that these ancestors travelled to a broader range of destinations than scientists realised. "This discovery for the first time conclusively shows that early members of our species colonised an expansive region of southwest Asia and were not just restricted to the Levant," lead study author Huw Groucutt of the University of Oxford said in a news release. "The ability of these early people to widely colonize this region casts doubt on long held views that early dispersals out of Africa were localised and unsuccessful." Early humans are known to have reached the Levant, a region of the Mediterranean adjacent to Africa, perhaps 177,000 years ago. But at what point people travelled farther than that has been hard to pin down. Some of these discoveries relate to genetic analyses that show humans interbred with groups like the Denisovans and Neanderthals. Some of those genetic traces date back to a time before that major "Out of Africa" migration. In other cases, tools, artwork, remains that haven't yet been dated, support the idea that Homo sapiens ventured out earlier. But no bones had been found that definiteively predated the migration outside Africa and the Levant – until now. 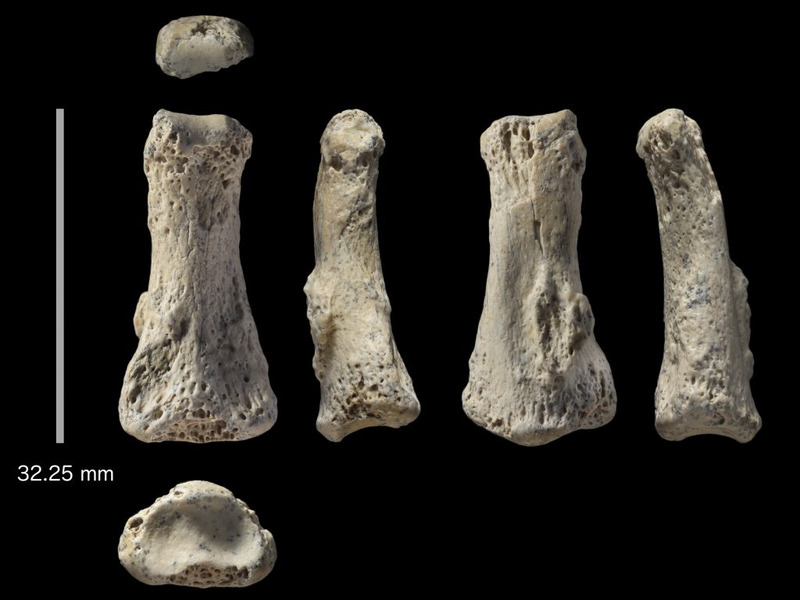 The researchers behind the study discovered the crucial finger bone at a site called Al Wusta in the Nefud Desert. Although it's a desert zone now, 90,000 years ago, the site was on the bank of a freshwater lake. At that time, the region would have been mostly semi-arid grasslands, regularly refreshed and soaked by a monsoon season. The site was first discovered to be archaeologically significant in 2014. Using a method known as uranium series dating, researchers figured out that the finger bone dates back approximately 88,000 years. Other items from the same site date back between 85,000 and 90,000 years. But the finding nonetheless provides support for the theory that early humans left Africa more frequently than previously understood. Humans may have regularly migrated from Africa to surrounding regions whenever weather supported those movements, like it would have at Al Wusta. There could have been many early human migrations, not just the major one and one potential earlier one. "Tracing the evolution and geographic dispersal of the human lineage is rather like connecting pitifully few dots on a vast three-dimensional grid of time and space," Donald O. Henry, an anthropologist from the University of Tulsa, wrote in an article published alongside the new study. The findings from the new paper "describe the discovery of a very significant dot that provides a new reference point for human dispersal," he wrote.